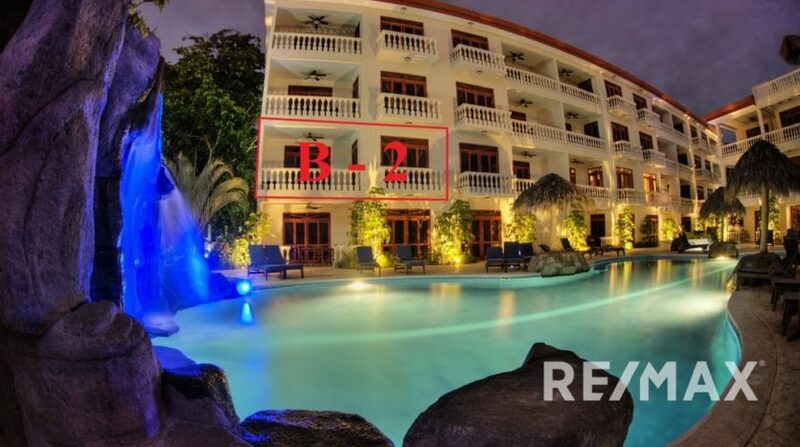 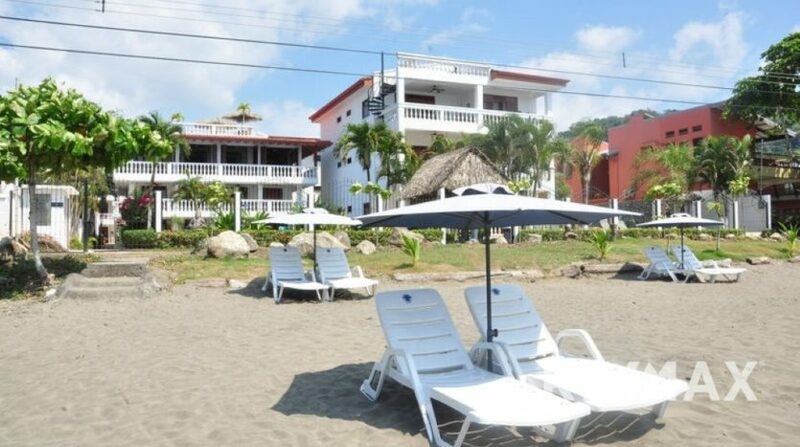 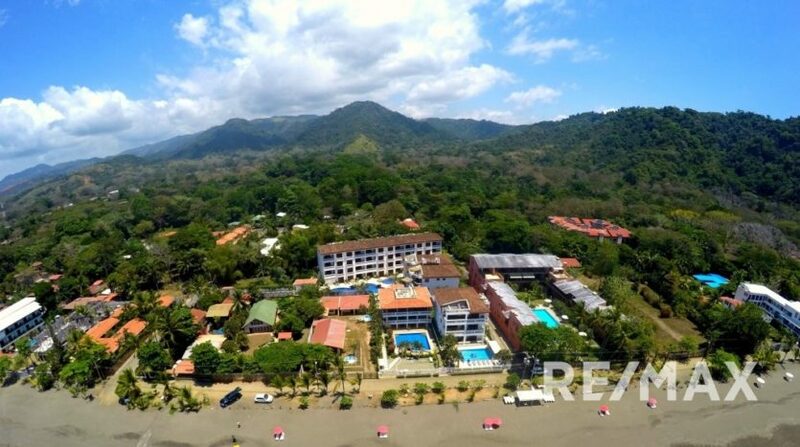 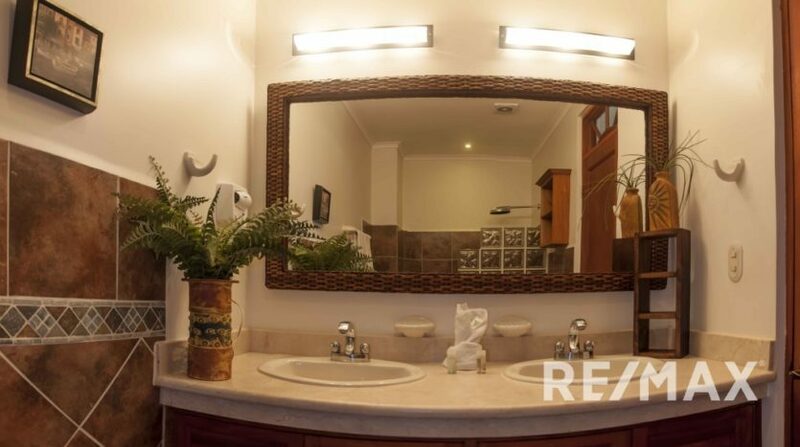 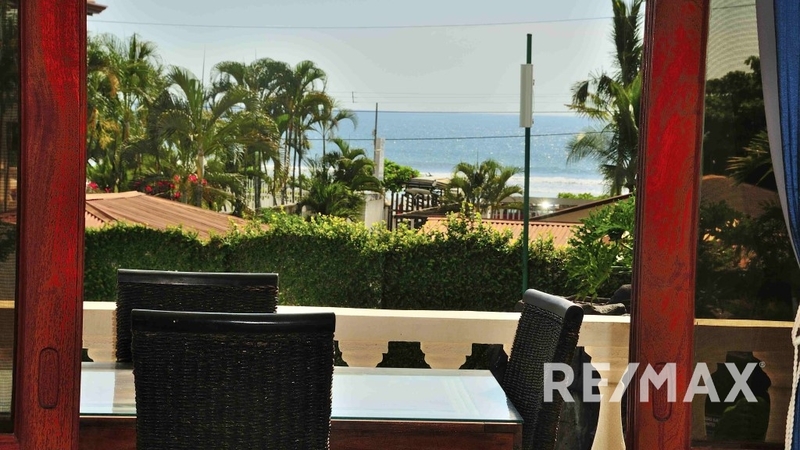 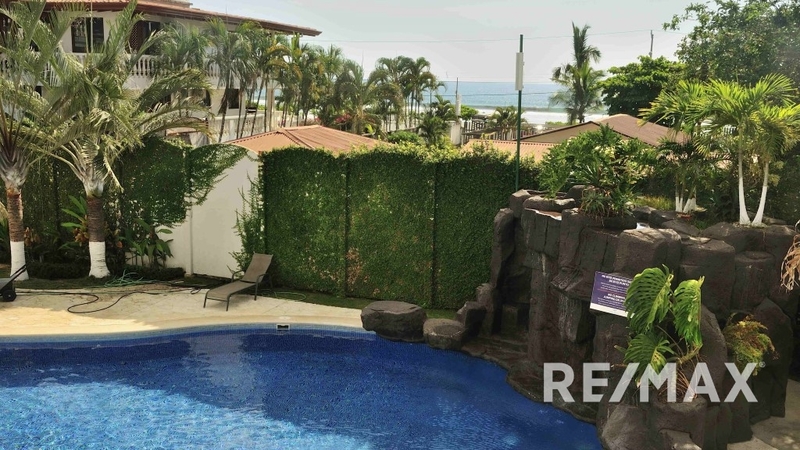 On the Beach Condominium Fully Furnished at the South end of Jaco, Costa Rica! Nestled on the beach at the south end of Jaco Beach. 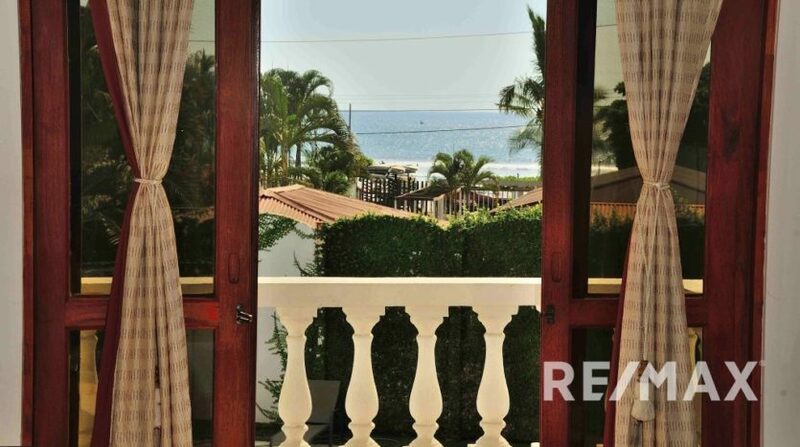 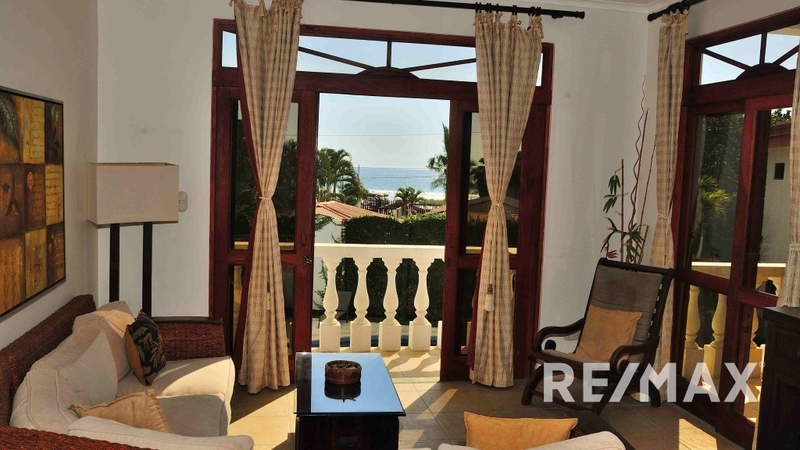 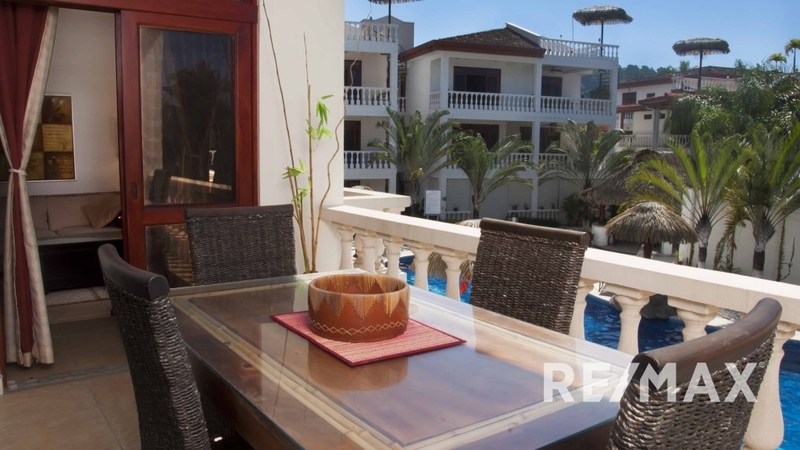 This 2nd floor corner unit has views over the over sized pool to the pacific ocean. 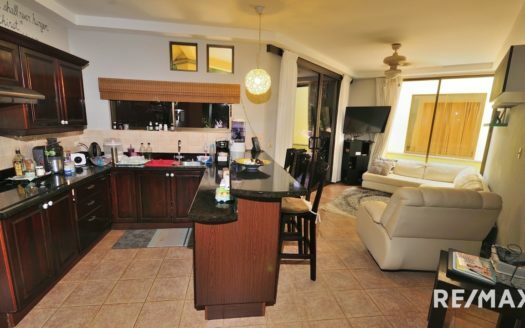 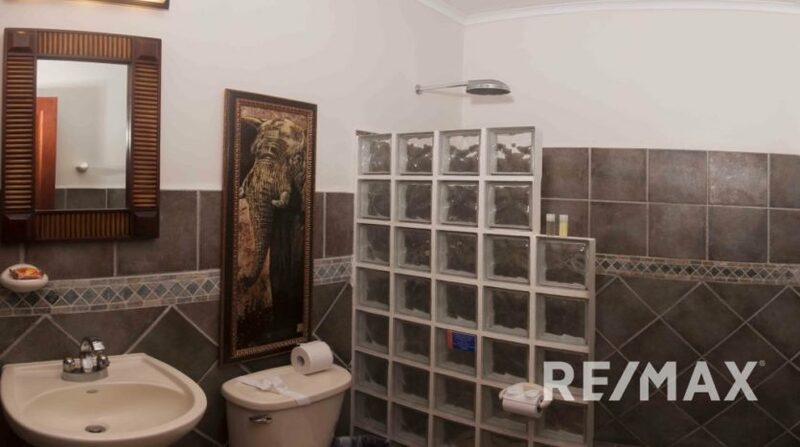 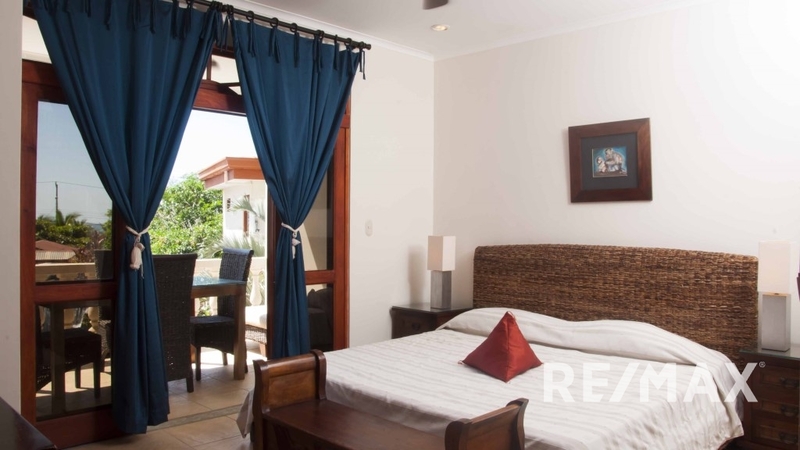 The condo boasts 2 bedrooms, 2 bathrooms and comes completely furnished and turn-key. 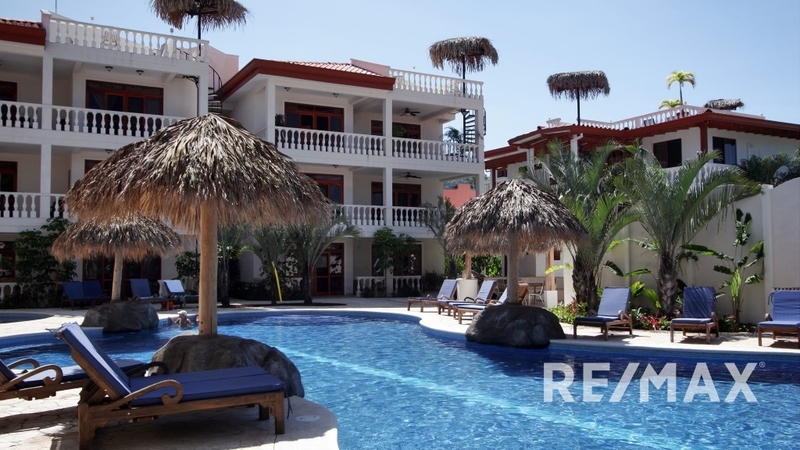 The condo community called La Paloma Blanca. 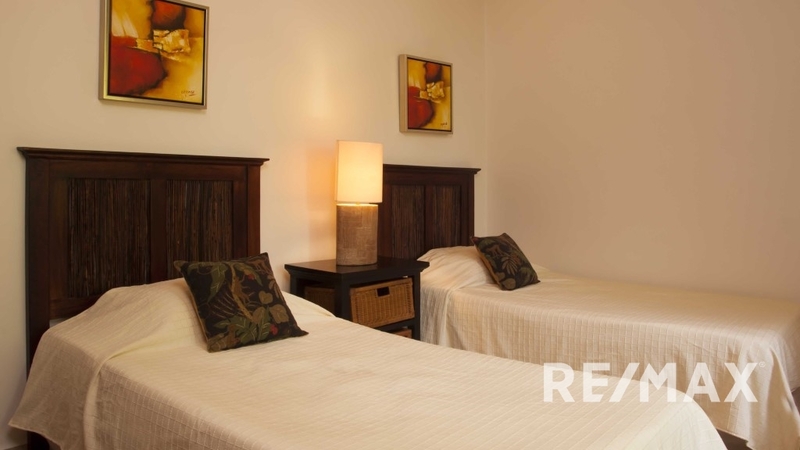 The complex features onsite management and available management to earn rental income. The development is set amid a backdrop of pristine rainforest. 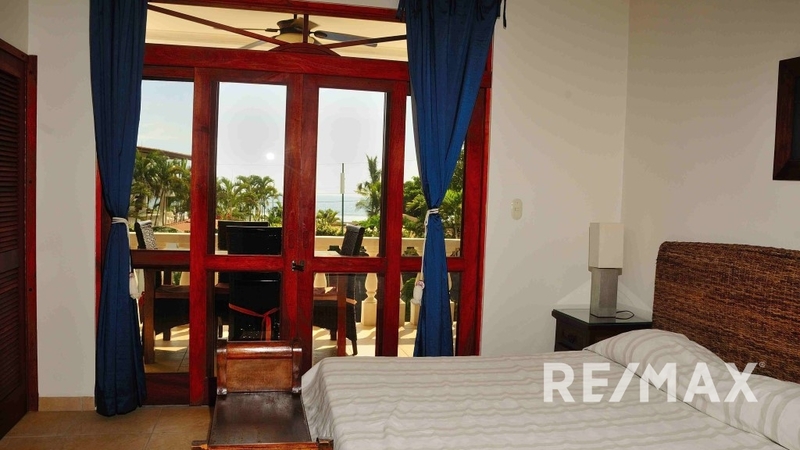 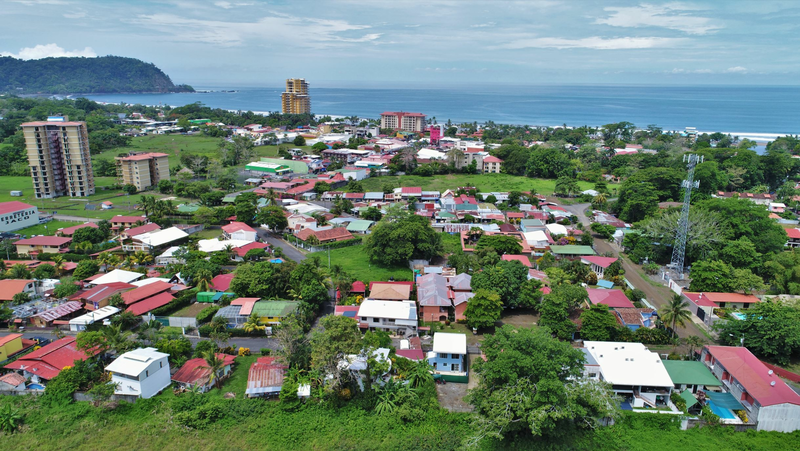 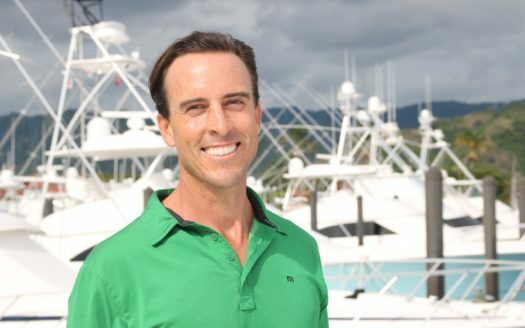 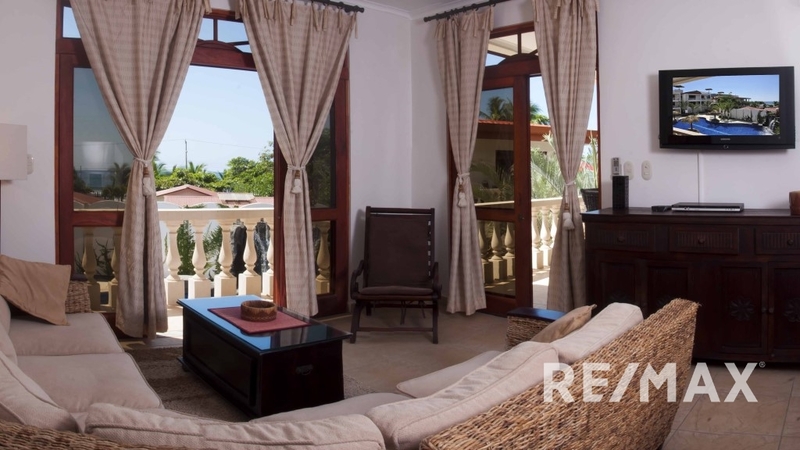 The property is only a 10-minute walk from downtown Jaco Beach. You can enjoy four onsite swimming pools, an outdoor barbeque area and cascading waterfall. 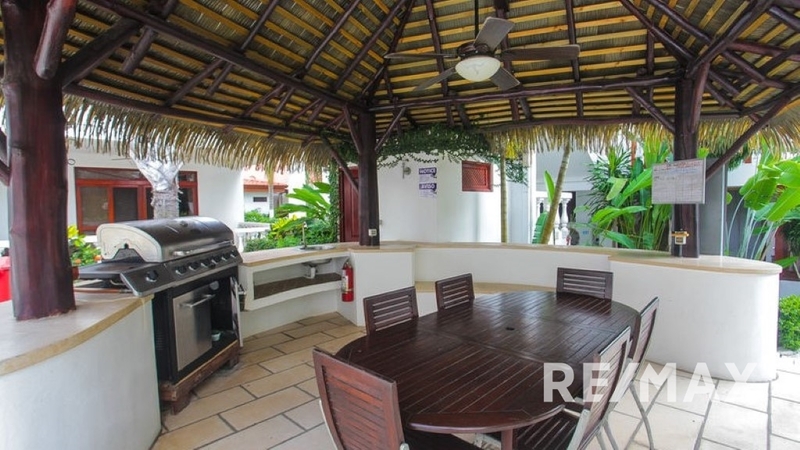 All this features in the central courtyard create a serene residential atmosphere. 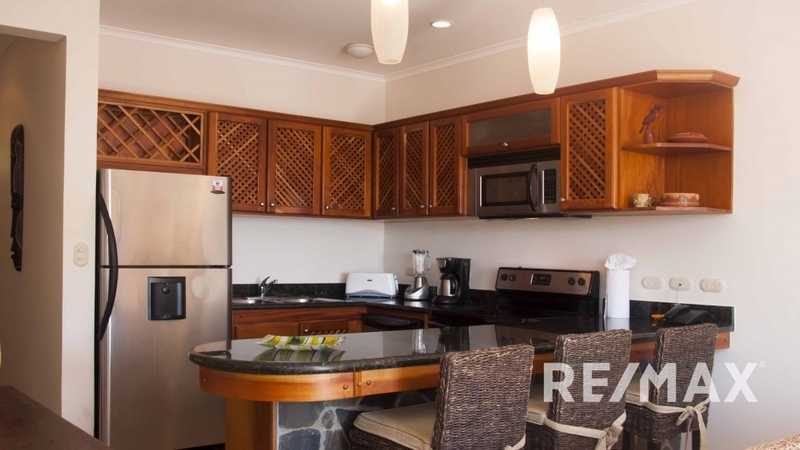 This is resort-style living including staffed security, housekeeping and onsite management.